It is estimated that Plato was born in Athens, Greece around the year 428 in fifth century BCE. Born in a rich and affluent Athenian family Plato desired to become a politician but as he grew older he was repulsed by Athenian dictators and drawn towards Socratic thought. This ultimately led to him becoming a disciple of Socrates. Along with his teacher Socrates and his most famous pupil Aristotle, Plato is counted among the pivotal influences that shaped the Western Philosophical tradition and thought. 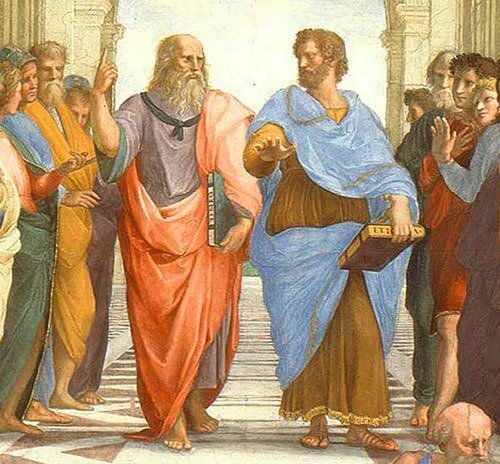 Know more about the influence of Plato on philosophy through his 10 major contributions. There have been many controversies regarding the authenticity of Plato’s work and as with anything else, information must always be accepted with a skeptical and open mind. In 399 BCE, after Socrates was sentenced to death, Plato left Athens. It is believed that he traveled extensively during this period, and returned 12 years later in 387 BCE. There is no historical record of the exact time Plato’s school was officially founded, but modern scholars generally agree that the time was mid-380s BCE; after his return. The Akademia or the Academy was a school outside the city walls of ancient Athens. It was a place where students would study a wide variety of subjects from various instructors. The Academy is accredited by most scholars to be the first known university in Europe. It attracted many brilliant men including Theaetetus (mathematician), Eudoxus of Cnidus (mathematician) and Aristotle (philosopher). Plato believed such institutions would lead to social progress and a more stable government and he oversaw the Academy until he died in 347 BCE. The Academy was destroyed in 86 BCE after the siege of Athens by the Roman dictator Sulla. Almost 500 years later in 410 AD a revived Neoplatonic Academy was established as a center for Neoplatonism and mysticism until 529 when it was closed down by the Christian Emperor Justinian I, who claimed it was a pagan establishment. Socrates is credited as being among the founders of Western Philosophical thought and is often designated as the first moral philosopher by historians. Although Socrates was an influential thinker during his times, he did not write down any of his teachings. Socrates is thus known through the writings of his contemporaries like Antisthenes and Aristippus or his students like Xenophon and Plato, among others. 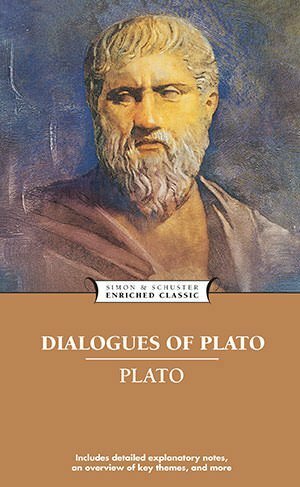 Plato for the most part wrote in dialogues in which characters discuss a subject analyzing and dissecting it from various viewpoints. In what are known as “dialogues”, the early writings of Plato seem to be directly inherited from Socrates. Plato’s teacher Socrates is mostly the central character in these writings with subjects usually centered around Socrates’ lessons. 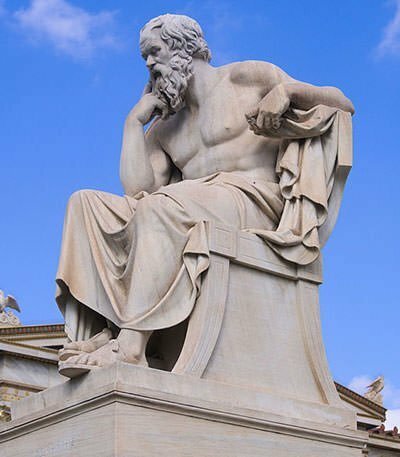 The most famous of the Socratic Dialogues is the Apology in which the character of Socrates defends his beliefs against the charges of the Athenian court. 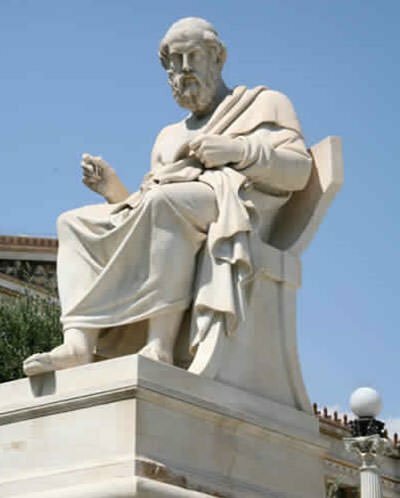 Although other sources portray a different Socrates, Plato’s “dialogues” are a vital source for understanding Socrates. Early period – writings attributed to him in this period include Apology of Socrates, Euthyphro, Hippias Major and Minor, and Ion. The fictional character of Socrates in the dialogues is an integral part of this period. Middle Period – most famous works attributed to Plato were written during this time, including the Republic, the Symposium and Phaedo. Plato continues to use his dialogues to explore philosophical concepts such as government, love and the soul. During this era, the character of Socrates still remains a fictional vehicle to argue philosophical concepts but he starts to recede into the background. Late Period – most famous creative works of this period are Parmenides and Theaetetus. In this period, Plato questions the paradoxes of religion and knowledge. A majority of Plato’s work is in the form of dialogues, which many a times do not lead to any conclusion. 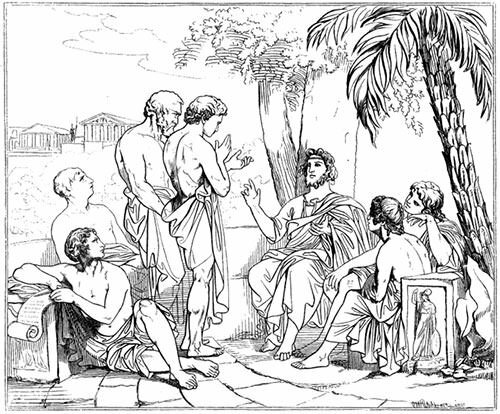 A student of Plato’s philosophy is encouraged to approach a topic in many different ways and repeatedly question the result. These dramatic features of Plato’s works have earned attention even from literary scholars relatively uninterested in philosophy and are the reason that they continue to be hotly debated after many years. The concept of forms are central to the philosophy of Plato. However, some attribute the philosophy to Socrates. The concept talks of an ideal world of Forms which are mimicked in the false world of phenomena. The phenomena are the physical world that we experience; it is a flawed echo of the perfect, ideal model that exists outside of space and time. Taking a simple example of a physical object like a chair or a concept like justice, it can be loosely said that we experience an imperfect chair and imperfect justice in the phenomena or the material world we exist in. However there is an ideal and perfect chair and justice in the ideal world of Forms. Forms are used throughout the work of Plato to explain concepts of knowledge, justice and many others. 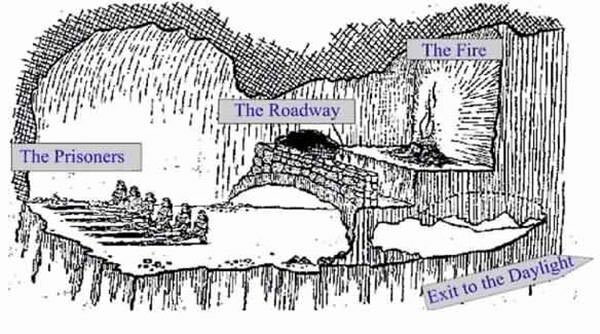 In his work Republic, Plato is said to have demonstrated this concept of the Forms in an illustration called The Allegory of the Cave. Plato believed that true knowledge may only be derived from world of ideal and timeless forms. As an example in his Socratic dialogue Meno, a boy is able to find mathematical truths without observation of the world, arriving at the truth by being asked questions and considering the answers. Plato claims it as an example of recollection with the ultimate truths in a past life or knowledge by contemplation rather than observation. He argues that knowledge is inherently present in a person’s soul and is shrouded by their perception of reality. Republic is perhaps the most known and influential work of Plato on philosophy and politics. 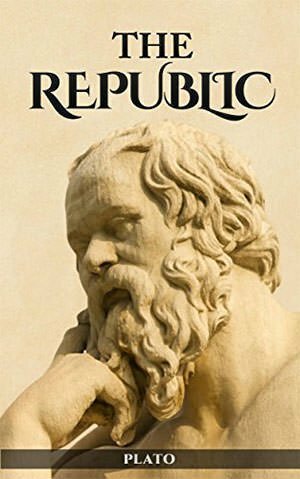 Essentially a Socratic dialogue on Justice, Republic explores a philosophical conversation between 6 men on an ideal state (Republic) that would serve as a template for all existing and emerging societies. In Republic, the four virtues of courage, wisdom, temperance and justice are recommended for a good community and among them Plato reasons that justice is the most important. Plato identified the human need as the fundamental cause of association. He thought that people essentially serve their own self-interests, they organize and support each other as it seems to be in one’s self-interest. Plato advocated division of labor to organize productive efforts. He thought that every individual had different natural ability and therefore was suited to one occupation as another may be suited to something else. He believed that for many things to be done at the same time, it required availability of some people fixed for some tasks. 1. The “appetite“ of the soul or the workers that produce for consumption like the laborers, merchants, farmers etc. 2. The “spirit“ of the soul or the strong and brave guardians that protect. 3. The “reason“ of the soul or rulers or philosopher kings who are intelligent, rational, self-controlled and in love with wisdom and justice. Plato said that only through specialization in one of these duties can disunity between people be erased and a just state be established. Plato recognized that only through education can an individual realize his true function in society. In Republic, education is considered only second to justice for the creation of an ideal state. Plato advocated state controlled education and is against any form of forced learning. Education is looked upon as the art of orientation and educators are encouraged to device simple methods to align learning in the right direction. In his work Symposium, Plato offers insight into the philosophy of love and beauty. In this philosophical fiction 7 characters give speeches in the praise of Eros, the god of love and desire. Plato explores various viewpoints through these characters. The character Socrates discusses how men should start with the love of a particular beautiful person, in the next step love is a particular instance of beauty in general, and then love shifts from physical to moral beauty. One should have the love of wisdom as the next step, and finally be able to love and appreciate the divine beauty. It is said that herein lies the first seeds of what we know as Platonic Love today, a type of an emotional and spiritual companionship without sexual desire. Although Plato was not a mathematician himself, he was among the important patrons of the subject in ancient Greece. Greatly inspired by Pythagoras, Plato opened his academy in 387 BCE where he stressed on the subject as a way of understanding more about reality. It is said that his Academy trained some of the most prominent mathematicians of ancient Europe like Eudoxus, Theaetetus and Archytas. There is a dark cave where people have been chained to a wall since birth. There is a fire burning in the hall which the prisoners are ignorant of. Objects are passed in front of this fire and a shadow is projected onto the wall in front of the prisoners. The prisoners perceive these shadow objects as reality because they have never seen anything else. Sometimes if a prisoner is freed, they are frightened and confused by their surroundings. If someone then climbs out of the cave, which is a difficult and painful thing, and sees the sun and the world above (or the ideal forms), this freed prisoner would then be compelled to return to the cave and attempt to free his fellow men who would not believe him and ridicule him.